Get the optional Porsche Dynamic Chassis Control (PDCC) air suspension system. You'll get improved ride and handling, and it gives the Cayenne a more nimble personality. The 2012 Porsche Cayenne comes equipped to take on a rugged trail, the racetrack, and child ferrying, all in the same day. When it was introduced nearly a decade ago, the Cayenne luxury SUV was seen as sacrilege by longtime fans of Porsche sports cars; but the model fulfilled its purpose, bringing high-end luxury shoppers—even families—into the Porsche fold. And, importantly, it's made Porsche financially sound and able to build cars like the all-new 2012 911. The Porsche Cayenne continues into 2012 with no significant changes. Last year, the best-selling Cayenne received a complete redesign, becoming a bit lighter and better-performing while retaining just a bit of off-road ability. Especially for a Porsche, the Cayenne is hardly stunning from the outside, but there's only so much you can do with utility-vehicle design before cutting out some of the practicality in the process (the Infiniti FX is an example of that). It's become a little more svelte in appearance, with more curvaceous door panels and curvier-looking rear flanks to hint more overtly of the sports cars in the Porsche family. But more likely, you'll notice its low stance (the product of revamped front and rear styling and aero work). Significant interior changes introduced last year, some borrowed from the stylish new Panamera, make the Cayenne's cabin feel much more upscale. Overall, the instrument panel has a more sweeping, coupe-like feel and matte-metallic brightwork. The 2012 Cayenne comes in four different flavors, to suit everyone from up-and-coming suburban families to wealthy enthusiasts who might on occasion take their Porsche SUV out for some track time. A 300-hp, 3.6-liter narrow-angle V-6 engine powers the base Cayenne, while the Cayenne S comes with a 400-hp, 4.8-liter V-8 and the Cayenne Turbo gets a 500-hp, 4.8-liter twin-turbocharged V-8. Each of the models come with all-wheel drive and an eight-speed automatic transmission, but as you'd imagine there's quite a separation in performance. 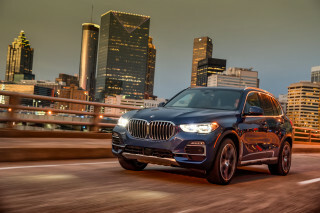 Base Cayenne V-6 models take about 7.5 seconds to get to 60 mph and do respectably enough with passing, but they don't feel much quicker than many other luxury crossover models. Either of the V-8 models deliver rapid performance that will feel more appropriate for those who've driven Porsche sports cars (Turbos can go up to 172 mph). Altogether, handling and roadholding is superb, and the lighter structure and lower center of mass (while still keeping some trail ability) help give this latest generation of the Cayenne a more nimble feel. And for those who are into the idea of green performance, there's the Cayenne Hybrid, pairing a 333-hp, 3.0-liter supercharged V-6—through a clutch pack—with a 47-hp (34 kW) electric motor system. 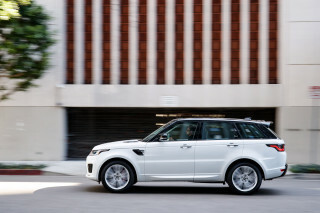 In each case, power is delivered through an eight-speed automatic transmission. Altogether, the Hybrid will top 20 mpg, yet achieve 0-60 in 6.1 seconds and a maximum 150 mph. While performance for the V-8 models is especially impressive, V-6 models still take more than 7 seconds to 60 mph. But thanks to a weight-loss regimen across the entire line, the Cayenne feels significantly nimbler than before. With a five-passenger interior, the Ceyenne is a little smaller inside—both in terms of passenger space and cargo room—than you might expect from a vehicle with such heft and exterior dimensions. But seats are supportive and comfortable for those in front, and interior appointments get progressively more lavish with each trim. We strongly recommend the Porsche Adaptive Suspension Management (PASM) air-suspension system, along with the Porsche Dynamic Chassis Control (PDCC), as they improve both ride and handling over the base setup. In addition to the performance-oriented systems that make it a more responsive, capable handling vehicle compared to most other SUVs, as well as a competitive, full roster of airbags, Porsche offers several high-tech safety systems, including a dynamic light system, Lane Change Assistant, and Adaptive Cruise Control. Prices for the 2012 Porsche Cayenne cover a vast range, from under $50,000 for the base Cayenne V-6 up to the $150,000 mark, or even higher, for the Cayenne Turbo S. Both in terms of traditional luxury appointments and modern connectivity, tech, and comfort features, the base Cayenne really isn't missing anything. A good Bluetooth interface is at last standard across the line, while the standard sound system includes an iPod and USB interface. And with the nav system, you can display smaller maps—not just the next turn instruction—directly within the instrument panel. You can easily drop $20k on options, as they include not only items like a panoramic roof, a heated windshield, and a high-end Burmester surround-sound system, but also special wheels and various custom paint, trim, and upholstery upgrades. Though the 2012 Porsche Cayenne won't rub everyone the right way on exterior looks, it's unique, and its interior looks as high-end as it feels. The 2012 Porsche Cayenne looks much like its predecessors; mild iterations to the front and rear aerodynamics and other small details are all that distinguish the new model from the previous. Inside, the story is much the same, with the significant interior revision of two years ago carrying forward largely unchanged for 2012. That's a good thing, overall, though, as the Cayenne's styling is unique. It won't suit all tastes, with the SUV-ness of the Cayenne wearing traditional Porsche cues less elegantly than the brand's coupes. Inside, the cabin looks upscale, with a sweeping instrument panel, matte-metallic brightwork, and a generally coupe-like feel, particularly from the driver's seat. Sculpted vertical vents, a sloped center console, and Panamera-esque cues go further to enhance the sporty feeling of the Cayenne's cabin, as well as add a dash of sophistication to the overall look. The Cayenne Hybrid is only minimally differentiated from the gasoline-only versions, with a sprinkling of badges along the front fenders. The Cayenne S and Turbo are impressive street machines, and even the Hybrid is fun to drive; the V-6, however, is somewhat lackluster. The Cayenne is one of the original sports-SUVs, and it continues to live up to the Porsche name in its on-road abilities. The one exception to that rule may be the Cayenne V-6 model. Fitted with a 300-horsepower 3.6-liter V-6 engine, it's certainly not weak, but still takes 7.1 seconds to reach 60 mph, thanks mostly to its size and bulk. 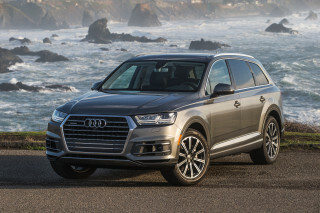 The 300-horsepower engine, paired to the optional eight-speed automatic Tiptronic S transmission, is sharp enough to execute passes well, however, and it's relatively fuel efficient. A six-speed manual is standard on the base Cayenne, while Cayenne S, Turbo, and Hybrid models get the eight-speed Tiptronic S automatic. All Cayennes are all-wheel drive. The Cayenne S improves performance considerably, rendering a sports car-like 5.6-second 0-60 mph time from its 400-horsepower, 4.8-liter V-8 engine. Top speed for the Cayenne S is 160 mph. 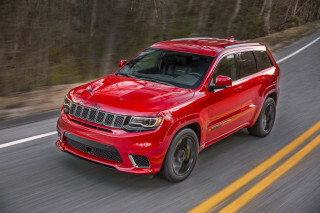 Stepping up to the sportiest of the Cayennes, the Turbo, gets a 4.4-second 0-60 time from a 500-horsepower turbocharged version of the same 4.8-liter engine and a top speed of 172 mph. 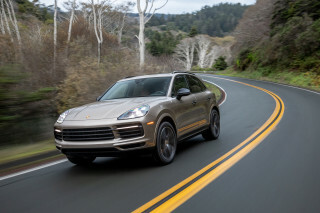 The Cayenne S Hybrid is no slouch, either, fitting in right behind the standard Cayenne S with 380 total horsepower from the combination of its hybrid electric motor and 3.0-liter supercharged V-6 engine. Top speed is 150 mph for the Hybrid. Handling is very good for a large vehicle, especially one so tall, with good feel through the steering wheel, surprisingly little body roll, and immense cornering traction from the large wheels and tires, particularly on S and Turbo models. Lest we forget, however, the Cayenne is an SUV, and therefore capable of off-roading as well as mad dashes on pavement. The latest generation of the Cayenne ditches the former dual-range transfer case in favor of an electronic Porsche Traction Management system, which offers three modes for loose sand/snow, wet surfaces and mud, or rocky terrain. PTM controls the throttle and individual brakes in complex ways to make the most of the available traction, whether flat, uphill, or downhill. With flexible back seats, a very comfortable first row, and high-quality materials, fit, and finish, the 2012 Cayenne is a great SUV--so long as you don't mind compromising on cargo space. 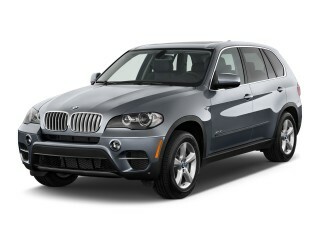 The 2012 Cayenne is, first and foremost, a Porsche, and the interior reflects that. Materials, trim, and fit and finish are all top-notch. 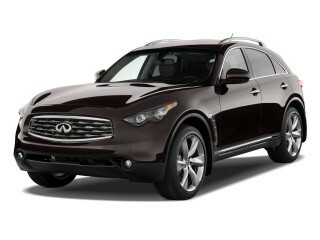 It's also passenger-focused, though that comes at the expense of some cargo space. The front seats are very supportive and comfortable throughout the Cayenne range, positioning the driver at a comfortable height, with visibility improved by the not-too-high beltline. The rear seats are roomy as well, with the ability to slide fore and aft more than six inches, plus seat back angle control. Those spacious rear seats don't fold completely flat, however, making the already somewhat small cargo space that much less useful. The Hybrid doesn't give up any of the precious cargo area, however, by stowing its battery pack where the spare tire would normally be. When equipped with the Porsche Adaptive Suspension Management (PASM) air-suspension system and Porsche Dynamic Chassic Control (PDCC)--both of which we recommend--the Cayenne is incredibly flexible in adapting to the driving surface and the driver's desires. Comfort, Normal, and Sport modes allow the driver to dial in just the mode they want, while sharpening or softening the responses of the throttle and transmission as well as the suspension. Porsche's button-focused control scheme might seem busy at first, but it escapes the complexity of screen-based, joystick-controlled systems like BMW's iDrive and Audi's MMI. Despite the lack of official safety ratings, the Cayenne's standard and available safety equipment provides a degree of comfort and ease. Like other high-end sport/luxury SUVs, the 2012 Cayenne hasn't been tested by either the National Highway Traffic Safety Administration (NHTSA) or the Insurance Institute for Highway Safety (IIHS). The Cayenne does, however, come with standard anti-lock brakes, traction and stability control, a full complement of airbags, plus options like dynamic lighting, Lane Change Assistant, Adaptive Cruise Control, and more. In off-road situations, hill descent control and speed-set control help when going downhill, while on the road, the Cayenne's capable handling helps avoid obstacles and accidents. The 2012 Porsche Cayenne's strong base spec can be enhanced greatly with a long list of available options and packages--but beware the rising price with lots of add-ons. The 2012 Porsche Cayenne may put its performance and style first and foremost, and those are both standard equipment on all models, but like any true Porsche, the Cayenne also packs many other features both standard and as options. All Cayennes get Bluetooth, iPod/USB, a capable standard AM/FM/MP3/CD audio system, cruise control, automatic climate control, and automatic stop-start with automatic-equipped models. The optional Adaptive Cruise Control system can maintain following distances at speeds between 20 and 100 mph, and it will prime the braking system when needed and even stop. A quick press of the accelerator will reactivate the system. 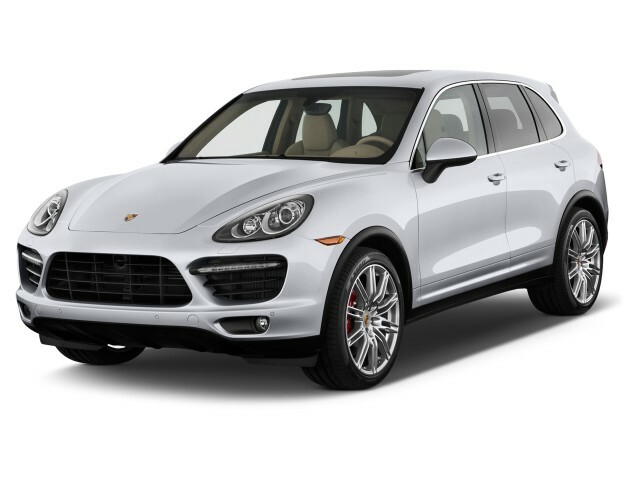 Available options, some of which are standard on the top-end Cayenne Turbo, include ParkAssist with rearview camera, an electric slide/tilt moonroof, dual-screen rear-seat entertainment system, and both Bose and Burmester audio systems. The Burmester in particular is an auditory feast. One caveat with all of these high-end available options: you can put them on your build sheet, but they'll add up quickly on the bottom line; it's easy to push the Turbo as high as $125,000-$150,000 when loaded with all of the extras, plus high-end design features like custom Porsche wheels, paint, and upholstery. The 2012 Porsche Cayenne gets surprisingly good fuel mileage in its higher-performance versions, with the Hybrid at the top of the heap, though the base V-6 doesn't offer any real advantage over the V-8s. 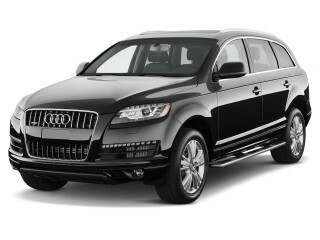 The 2012 Porsche Cayenne is a high-performance SUV; you have to be realistic about its gas mileage. That said, the Cayenne V-6 and S Hybrid models are better than many of the alternatives, particularly when you factor in on-road performance capability. The base Cayenne V-6 with the standard manual transmission rates 15 mpg city and 22 mpg highway according to the EPA. 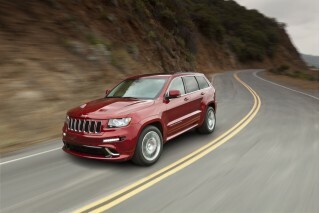 The optional eight-speed automatic improves the score to 16/23 mpg, for a combined rating of 19 mpg. The Cayenne S slots between the two despite the extra 100 horsepower, rating 16 mpg city, 22 mpg highway, and 18 mpg combined. The Turbo's massive 500 horsepower output is only marginally thirstier, getting a 15/22 mpg rating for 17 mpg combined. The gas mileage winner in the Cayenne range is, predictably, the Cayenne S Hybrid. According to the EPA, it's good for 20 mpg city, 24 mpg highway, and 21 mpg combined. That works out to an estimated yearly fuel cost of $2,607 for a 15,000-mile/year driver. 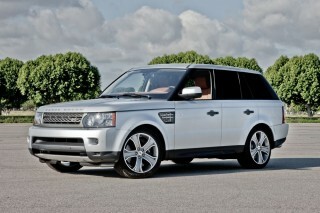 Best vehicle we have ever owned....Ever!! 104,000 mile in 4 years. Drive to business calls with golf clubs in the back. 22 MPG on the road and incredible interior. Absolutely the best vehicle we have ever owner including my 2 911's.